Adding another several hours of content and continuing the story that started in Episode 1, Assassin's Creed Odyssey: Legacy of the First Blade - Episode 2: Shadow Heritage (good lord!) is a solid follow-up. New quests, a new ability, and a couple of new legendary weapons await, but once again, don't go into this DLC expecting any twists on the established Odyssey formula. This second episode takes place in Achaia, the somewhat varied landscape that sits on the West side of the map's main landmass. It's a large region that offers some lovely vistas, making it an enjoyable backdrop to the bloodshed. 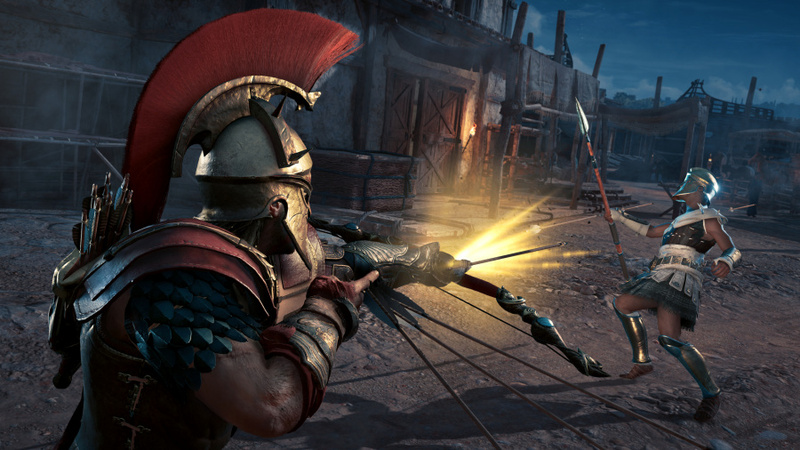 It's here that your hero reunites with old man assassin Darius and his daughter -- or son, depending on whether you're playing as Alexios or Kassandra. Still on the run from The Order, the duo are all set to hop on a boat and leave the Greek world for good, but they soon get caught up in helping Achaia's oppressed residents. Naturally, your misthios offers their assistance, and it's not long before you're bathing your spear in cultist blood. The central antagonist of the episode, a naval commander known as The Tempest, establishes herself quite well as the big baddie, and the DLC's main quests do a fine job of setting the tone. On the whole, this is probably one of the better written and better paced scenarios in Odyssey, complete with some surprisingly touching character moments. We'd go as far to say that Shadow Heritage is an overall improvement on Episode 1: Hunted. The core missions have more weight and tension to them, the character interactions are more grounded, and the stakes are higher. 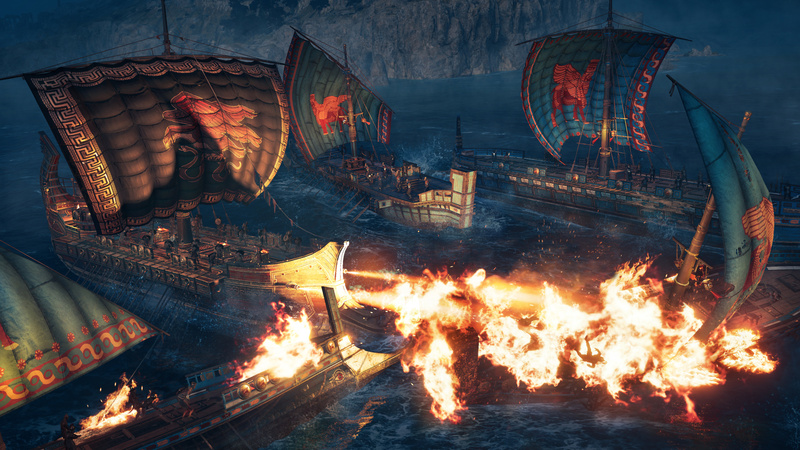 It's well crafted Odyssey, even if the new flamethrower weapon for your ship feels a tad tacked on. However, the ending of the episode has proven to be incredibly divisive among fans, and it's easy to see why. Without spoiling anything in particular, your hero is forced into a relationship that pushes the overall plot forward. 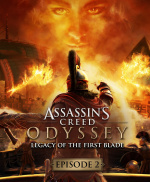 It stands out as a poorly judged decision on Ubisoft's part, given that the game is constantly pushing player choice. For us, the ending was actually a great fit for our character, but we're not going to sit here and pretend that everyone will be happy with it. Yes, this is ultimately the developer's call, but it's a real shame that Ubisoft couldn't have included an alternate outcome to the episode. For what it's worth, the ending is at least well directed and very effectively portrayed -- it's just too bad that not everyone will enjoy it as much as we did. I thought it was a bit on the short side but enjoyed it for the most part. The ending didn't really bother me. I mean romance in games is getting harder and harder to do because it's a no-win situation. You are going to upset people regardless. @SMKpaladin You know what it is, I spotted that mistake when I was proofing the review and I still didn't change it. Thanks! I don't understand why people are upset... That is to say, I cannot find any logical reason why anyone would be upset. 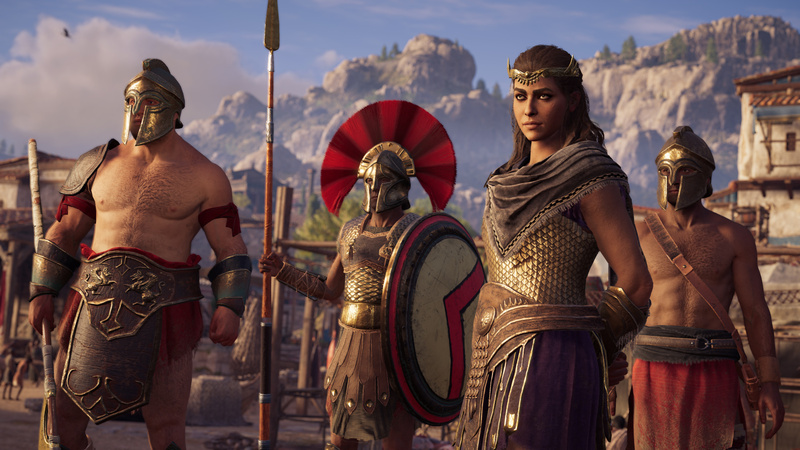 How the hell else is...what's her name (can't remember her name, can't be arsed to Google), supposed to use the Animus to experience Kassandra's or Alexios' lives? @Constable_What A direct bloodline isn't needed anymore for the Animus, the whole thing in Odyssey is that they use the DNA taken from the artefact instead. That said, I guess the Isu bloodline or whatever the heck it's called has to continue. I don't know about the implications of the lore at this point, it's so convoluted that I don't even think the developers fully understand what needs to be done. Ah OK. I don't pay attention to the modern stuff at all. Not since ACIII. None of it makes any sense when I really think about it, and the story just revolves around literal Deus Ex Machina to cover any plot contrivances and push the story forward. They need to continue it for the Mcguffin artefact though, hey? Otherwise the story becomes a paradox which it might already be... They should just get rid of the Animus and totally concentrate on the things in the past. Then your character could be anyone. That'd certainly be fine by me.